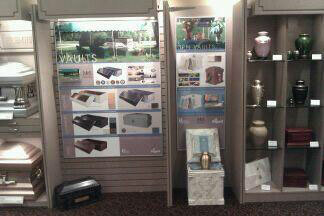 Our friends at Hecox-Goodwin recently installed new custom Vault180 wall displays at McAlister-Smith Funeral Home. The new displays look great in their showroom. Do you need help finding the right display solution for your showroom? Our marketing team can help you customize a wall display to work with the space you already have. Call Customer Service at 800.637.1992 to learn more.